LS-F2788 is a 96-well enzyme-linked immunosorbent assay (ELISA) for the Quantitative detection of Human ANGPTL4 in samples of Cell Culture Supernatants, Plasma and Serum. It is based upon a Sandwich assay principle and can be used to detect levels of ANGPTL4 as low as 20 picograms per milliliter. 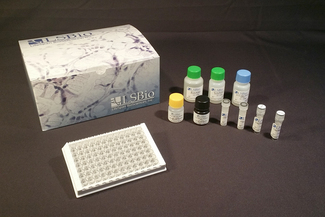 This kit is for the detection of natural and recombinant human ANGPTL4. No significant cross-reactivity or interference between ANGPTL4 and analogs was observed.